The trailer for Fox’s upcoming Batman prequel Gotham hints at origin stories for some of the franchise’s biggest villains, including Catwoman, Penguin, Poison Ivy, and The Riddler, while producers have also said that each episode will contain hints leading to the eventual reveal of the Joker. Now executive producer Danny Cannon is promising that one more villain could be “breaking the ice” on the show. In other words, “winter has come at last.” Sorry, we mean, “let’s kick some ice.” Or rather, Cannon plans to bring Mr. Freeze to Gotham. Speaking to Digital Spy at Comic-Con, Cannon confirmed plans to reinvent Freeze’s origin by using true stories as a launching point. Cannon explained that his years on CSI introduced him to many experts, specialists, and bizarre real-life stories, some of which inspired his idea for Freeze’s new background. While admitting he can’t say too much about the character, Cannon explains, “My first conversation with [showrunner] Bruno Heller about the villains in this show is always that they need to be very credible and relatable and the science behind them needs to be real.” And any attention to realism would certainly be a big departure from Arnold Schwarzenegger’s infamously campy portrayal of Mr. 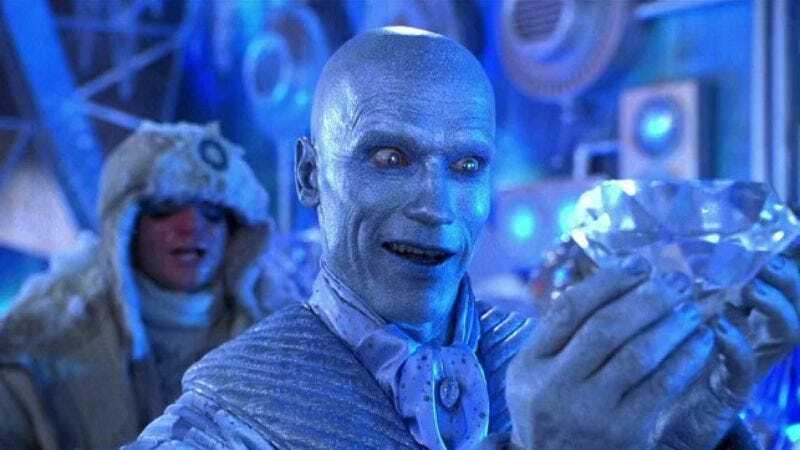 Freeze in 1997’s Batman & Robin. Gotham is set to premiere this September, though it sounds as though Mr. Freeze wouldn’t appear right away. In the meantime, everyone chill.